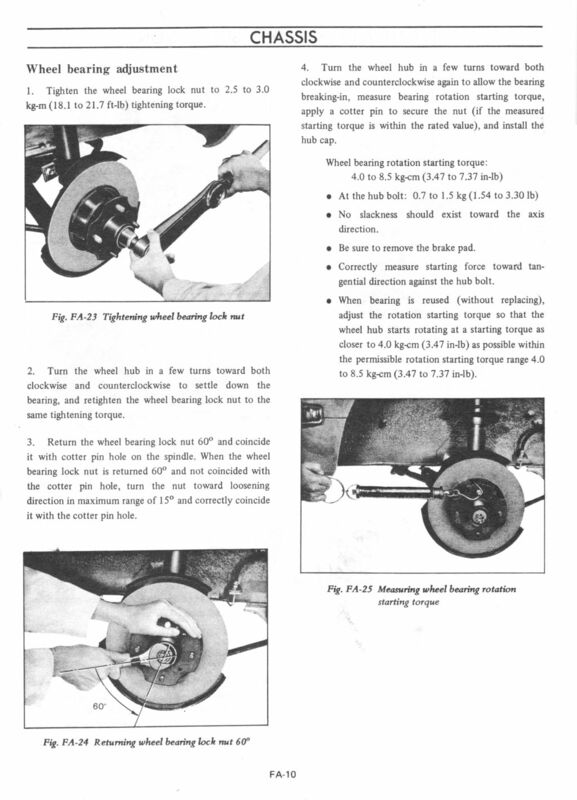 Replacing the front wheel bearings is a great do-it-yourself project and can be done in a few hours (if you happen to have everything you need handy). My symptom was a vibration in the front end that I thought was out-of-balance wheels/tires. Problem remained after balancing. I did not follow the factory recommended process for tightening and testing (the fish-scale). Replaced the bearings and torqued everything as spec’d and – smooth as glass! 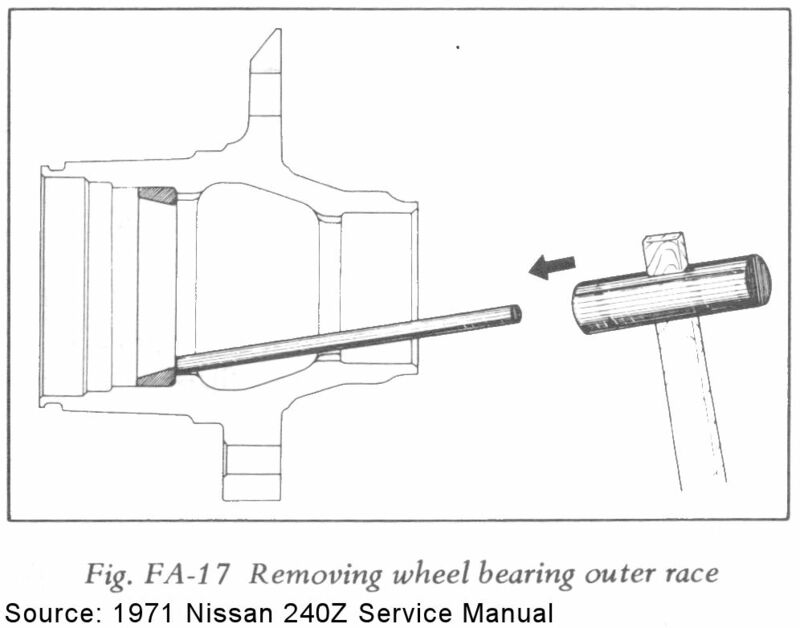 The 240Z uses two ‘single-row tapered roller bearings’, one inner (larger) and outer (smaller). 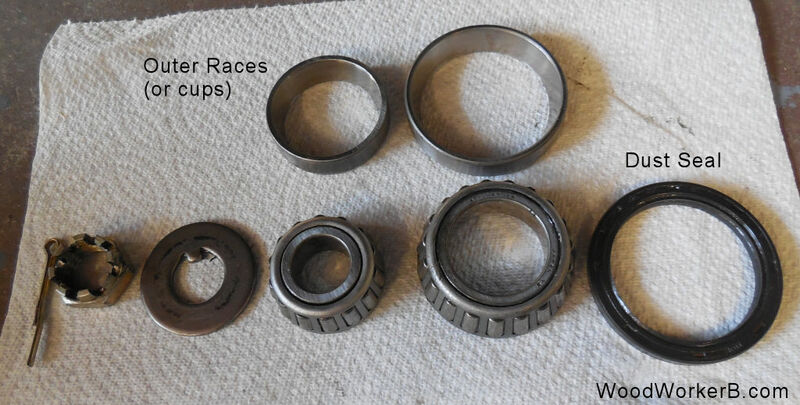 Each bearing is made up of two major parts – the ‘bearing’ itself (Inner race, bearings & retainer) and the outer race (or cup). The outer races are a tight, press-fit into the wheel assembly. Many will tell you this kit is not necessary. And it is not. 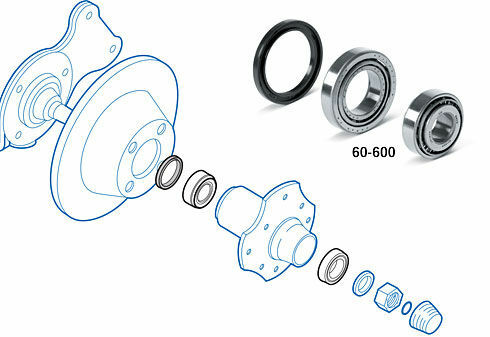 You can make your own tool, you can use the old bearing/race/seal to drive in the new one. You can use a large socket, or piece of pipe. But the tool makes it clean, neat and easy. If you’re planning to do more than a couple of races/seals, then this kit will pay for itself the first time you don’t F-up a seal. Another plus, the driver ‘disks’ are aluminum – which means they are softer than the steel bearings – therefore less likely to mar/dent/scratch them! There are a couple of variations. This tool is also optional – the old load-your-palms-with-grease-and-ram-er-in-there approach is quite valid. I prefer the tool to ensure a good, thorough application of grease. A lot cleaner than the ‘palm’ approach. Here’s all the parts as removed from one wheel, placed ‘in order of appearance’. You will re-use the special washer and castle nut. Use a new cotter pin. There is a most-excellent photo description of the process on the Atlantiz Z club website. No need to duplicate it here! Caution when inserting the outer bearing races! Exercise caution when installing the two outer bearing races – you can put them in backwards – that would mean a really great chance to f-them-up when you try to hammer them back out. This turns out to be a lotta-grease! 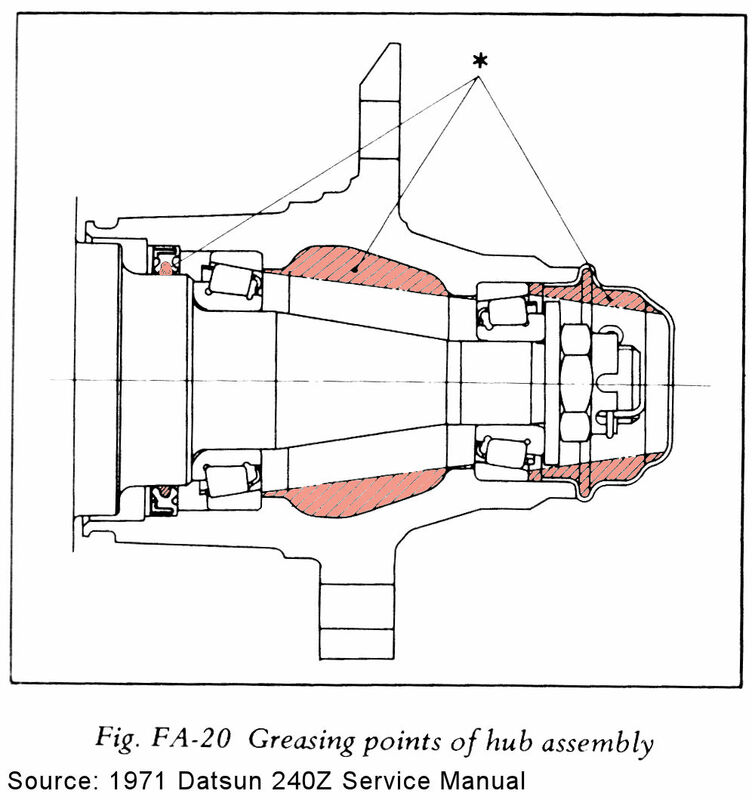 “When you drive out the inner bearings, make sure to alternate tapping/pounding around the circumference of the bearing race. Otherwise you will bind the race. Also, when you have replaced the wheel on the car, take it for a drive, doing some hard turning and then check the tightness of the hub on the spindle. “Since you’re replacing the races, beating on them is often the easiest/fastest way to remove. You don’t really care if you bugger it up. A little PBlaster or Liquid Wrench helps.